They were very professional, and they completed the project as we discussed. They deliver a high quality product. We liked that they helped us to understand the process and that there were no surprises. They provide great quality work. They're not the cheapest, but they're well worth the money. I like the quality of the work, and it turns out to be a good value. Houseworks, Inc. is a San Francisco-based Design + Build remodeling company that serves residential homeowners in San Francisco. 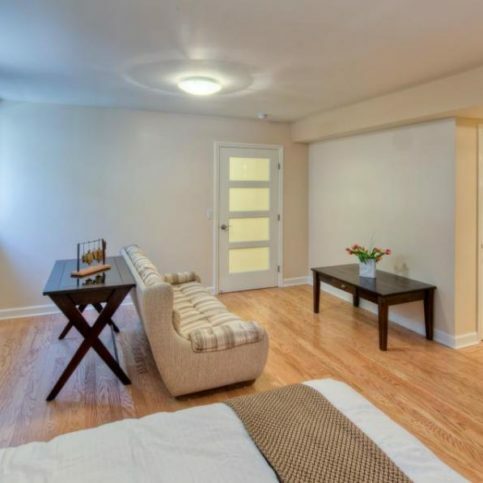 The company provides complete renovation services that include concept ideas, budget allocating, design and construction. Houseworks specializes in kitchen and bathroom remodeling, whole home renovations, and additions. Mr. Kann says the company’s experienced professionals are trained to listen to the needs of their clients and respond with creative solutions. He invites potential customers to visit his company’s website, www.houseworksinc.com, to see a complete list of services and a portfolio of past work. 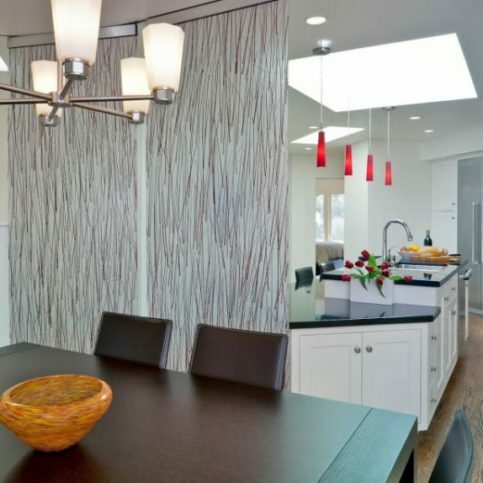 DIAMOND CERTIFIED RESEARCHED CAPABILITIES ON HOUSEworks, Inc.
DIAMOND CERTIFIED RESEARCHED ARTICLES ON HOUSEworks, Inc.
HOUSEworks designed and built this movable wall to provide a privacy screen between the kitchen and dining areas. 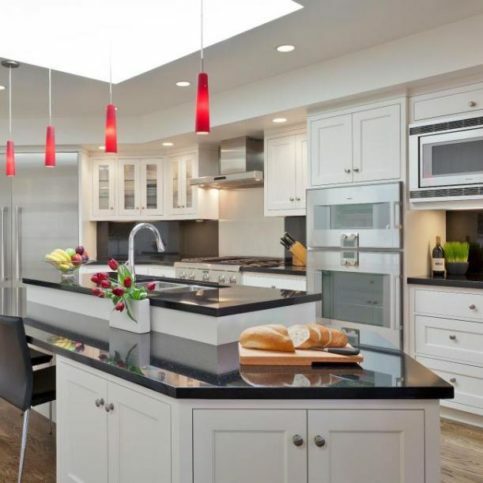 When it comes to homeowners’ frustrations with a home remodel, Jeff Kann, co-owner of San Francisco-based HOUSEworks, Inc., sees execution as the biggest cause. “There are a lot of great craftspeople that don’t have the administrative ability to match their tradecraft,” he says. Conversely, he adds, HOUSEworks applies sound business and project planning practices to ensure jobs are done correctly, on time and within budget. HOUSEworks focuses on residential remodeling—additions, kitchens, bathrooms, and whole house remodels. The firm takes an approach that combines high-level craftsmanship with sound business principles. It creates detailed budgets and project plans to guide projects to accurate and successful completion. With this business framework in place, HOUSEworks’ craftspeople can use their skills to deliver a high-quality remodeling job. Once work begins, HOUSEworks holds weekly meetings with clients, detailing exactly how their money is being spent, how the team is performing against the schedule and budget, and any highlighting issues that need to be addressed before completion. When undertaking a home remodel, homeowners should first determine how much they can afford to spend. Decide on the budget upfront, before soliciting detailed proposals from designers and contractors. Not only does this provide valuable guidance to the designer in determining what can and can’t be done, but it allows the homeowner to choose the best contractor who can deliver the job within budget, not necessarily the least expensive one. Once a homeowner has conducted initial checks to ensure a contractor is licensed and adequately insured, Jeff Kann, co-owner of San Francisco-based HOUSEworks, believes there are three steps to selecting the right one. Review the estimate. Look for a level of detail and specification that demonstrates the contractor has a clear understanding of your project. Watch out for allowances that have been made to cover aspects of the project that haven’t been fully scoped out. A detailed and thorough estimate will have few allowances and will help militate against changes and cost overruns once construction begins. Be sure to explain your exact vision to the designer. Don’t be afraid to show drawings you’ve made or clippings from catalogs of fixtures and products you like. The designer may recommend something different, but knowing what you expect out of the job is an important professional element. Visit a current jobsite. Look at how the site is organized and supervised. If the homeowner knows something about construction, they can judge the quality of the work being performed, but that’s not essential. Ask basic questions. Is the owner’s property secured and protected? Are the tools organized? Are there staging areas set up for materials? Is the site clean? Is dust protection being employed? Who’s supervising the job site? Is the foreman present? Is the project manager available? Q: How do I get an estimate for my project? Q: What makes your estimates different? Q: Will HOUSEworks give me the best price? Q: Will there be any change requests on my job? Q: What if I have my own architect? Q: Does HOUSEworks do minor repair work? Q: Who will manage my job? Q: How does HOUSEworks invoice for services? Q: Are customer references available? SELECTED PHOTOS FROM HOUSEworks, Inc.
HOUSEworks connected this kitchen to a dining room and living room via a seamless open floor plan. HOUSEworks captured unused space at the ground level of this home to create an in-law suite for multi-generational family living. HOUSEworks added this master bathroom to a master bedroom, which created a master suite in a spa-like setting. Jeff Kann is owner of HOUSEworks, a Diamond Certified Company since 2006. Jeff has spent many years developing ways to remove the stress and risks from home renovation projects. He can be reached at (415) 578-9560 or by email. A: College ice hockey. My son plays defense for Becker College, and he played on the Junior Sharks when he was growing up. I’m also really passionate about baseball. I love the Giants. A: Yes, Catcher in the Rye. I read it in high school, and then I read it with my kids when they were in high school. It really hasn’t lost its core meaning over the years. A: I sat next to Betty White on a plane and it was sort of a bumpy flight, so we talked to take our minds off air turbulence and travel for a little while. Q: What country would you most like to visit? A: Actually, I’d like to travel throughout the United States. There’s just so much I haven’t seen yet, like the Grand Canyon and Snake River. Q: What’s the best James Bond movie? A: It’s a three-way tie: The Spy Who Loved Me, Goldfinger, and Live and Let Die. 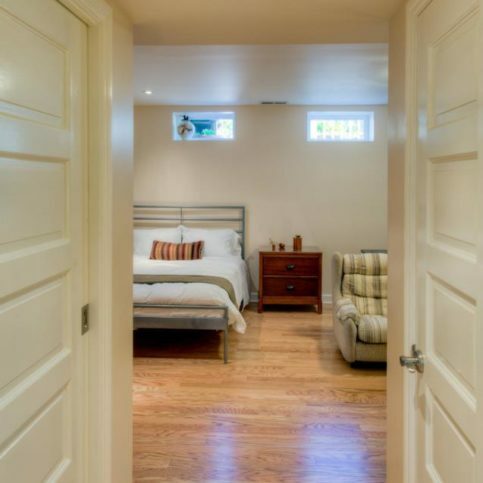 SAN FRANCISCO — When planning for a remodeling project, homeowners are generally advised to get bids from at least three contractors so they can compare apples to apples. However, when the bids come in, homeowners are often confused and/or discouraged by what they read. For one thing, it’s common for bids to have substantial price variations, despite being for the same project. Furthermore, bids are often much higher than homeowners expect. In fact, the American Institute of Architects reports that over 60 percent of building plans never get built, in many cases due to the projected costs exceeding the amount homeowners are willing to spend. Fortunately, your remodeling project doesn’t have to succumb to this fate. By gaining an understanding of what drives remodeling costs and taking proactive steps to address these factors, you can promote accuracy and consistency with your project bids. Additionally, this knowledge will help you stay in control of your costs throughout the project. What causes cost variations with contractor bids? 1. Architectural plans. The more detailed the plans, the more specific a contractor can be with the cost estimate. In contrast, vague architectural plans require a contractor to make lots of assumptions. 2. The contractor’s initial walkthrough of your home. A contractor that spends an ample amount of time evaluating your home during the walkthrough will be able to provide a more detailed and accurate estimate. 3. Specificity of materials to be used. Appliances, fixtures and finishes are some of the most expensive aspects of a remodeling project. Furthermore, there’s often a wide range of price variation for any given material. When materials aren’t specified, a contractor has to make assumptions, which unsurprisingly leads to a lack of accuracy with the bid. Determine your budget early. As you contemplate your remodeling project, establish the amount of money you’re willing to invest. You don’t need to know how much the renovations will cost; however, you do need to know what you’re willing and able to spend. Delivering this information to contractors upfront will give them specific parameters with which to create their bids. Assemble a quality team. When you have an architect and a contractor working together, you tap into the experience necessary to inform construction means, methods and costs during (rather than after) the design phase. Utilize third-party verification (such as the Diamond Certified Resource) to find a quality architect and contractor. Another option is to hire a design/build team, wherein the architect, contractor and other key players are assembled under a single roof. This team-based approach helps keep things on target for meeting your project and budget objectives. Select as many materials as possible during the design phase. This includes things like flooring, countertops, plumbing fixtures, cabinets and kitchen appliances. You should also identify the suppliers you’re going to purchase from and get specific cost quotes for each product. That way, you can deliver specific information to contractors and minimize cost surprises once construction begins. 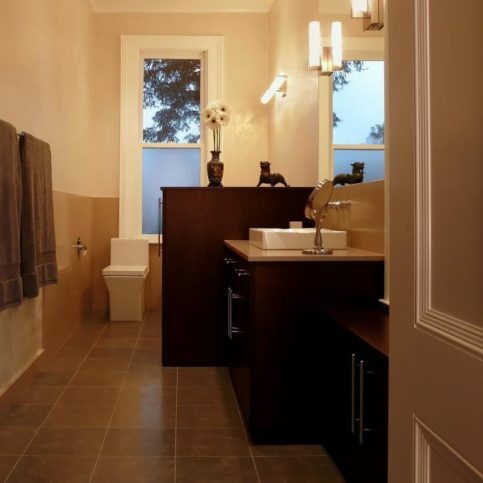 SAN FRANCISCO — When planning for a home remodeling project, one thing to consider is “aging in place”: a design approach that anticipates your long-term needs. In particular, it addresses elements of your home you use every day and designs them in a way that will allow you to age comfortably in your own home. 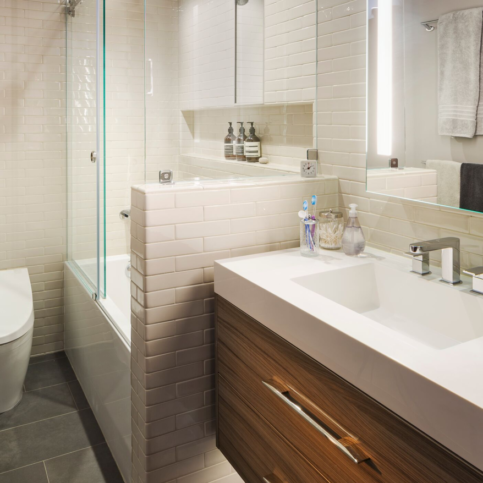 Since aging in place design primarily revolves around safety and ease of access, the most important area to address is the bathroom. 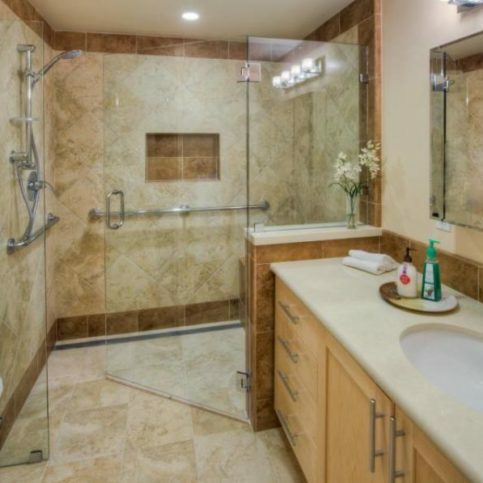 To start, your shower threshold needs to be low enough that you can easily step into it or, in extreme circumstances, get a walker or wheelchair into it. A good way to accomplish this is to convert your current bathing area into a walk-in shower. You should also consider installing grab bars, both in the shower and near the toilet, as these provide a sturdy means of support and help prevent falls. Other aging in place measures can be implemented throughout the home. For example, when remodeling your kitchen, consider lowering the height of your countertops in anticipation of accessibility needs later in life. Another measure that’s fairly easy to employ is converting door handles and faucet handles from knobs to levers, which makes them easier to grasp and turn. Between the grab bars and modified door handles, you may worry your house is going to look less like a home and more like an assisted living facility. 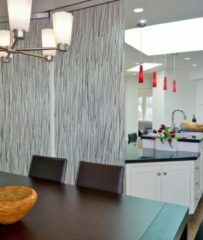 This is not the case: by using the right design techniques and products, your remodeling contractor can create a space that’s equally beautiful and functional. SAN FRANCISCO — Remodeling can be a stressful process for some people, but that doesn’t mean it has to be for you. To get the most out of the experience and make sure your project turns out exactly how you want it, follow these four steps. Set up a team of professionals. This team should consist of you, an architect/designer and a contractor. You can hire these people individually and make sure they know how to work collaboratively, or you can hire a design/build team that’s already in place. Either way, the team’s job is to make sure your project is designed and built to your specific budget and schedule. Establish a budget at the onset of the project. Once you determine how much money you’re comfortable investing in your home, it’s your team’s responsibility to design everything to that budget and make sure your needs are met. Complete all planning during the design phase. All critical decisions about your project’s size and scope should be made before construction begins. This includes choosing fixtures like faucets, showerheads, bathtubs, toilets, sinks and countertops. Plan for things to go wrong. Remodeling is all about fitting the new with the old, and getting things done often requires the continuous juggling of hundreds of components. That’s why it’s so important to have a professional, competent team that’s adept at resolving issues and making sure your project is still completed on time and on budget. If you can trust your team to accomplish these things for you, it’s much easier to sit back, relax and enjoy the finished product. SAN FRANCISCO — Host, Sarah Rutan: When planning for a home remodeling project, it’s wise to be proactive about managing the costs involved. Today we’re in San Francisco with Diamond Certified Expert Contributor Jeff Kann of HOUSEworks to learn more. Diamond Certified Expert Contributor, Jeff Kann: You’re watching this video because you’re considering remodeling your home. Maybe this is your first remodel, or perhaps you’ve remodeled before and don’t want to repeat past mistakes. I’m going to share with you today lessons I’ve learned over the last 15 years running a remodeling company to help you take the confusion out of your renovation project. First, let’s consider what causes this confusion. Most of it has to deal with unknowns, and specifically unknowns around cost. So, what influences the cost of your project? There are three primary areas. One, is the architectural plans. That means how detailed and specific are they. The second, is the thoroughness of the walkthrough that your contractor did. Do they have the experience to look at and spend the right amount of time at the right things on your home, to provide you with the detailed cost estimate? And finally, what has been specified and selected by you that’s going to be installed? That’s things like cabinets, appliances, plumbing fixtures. So, let’s talk about how you can manage these things in a way to give you the confidence to make good decisions about your remodel. First, identify your budget and set your budget, and communicate your budget to your team of professionals. That is, how much are you willing to invest in your home, on this project, at this time? If you’re willing in ability to spend, and this needs to be shared with your contractor and architect so that they will develop a project within your parameters. Second, is assemble that team. This team needs to consist of competent professionals, an architect a builder, and it includes you. So that you have the information to make informed decisions. They need to work together to provide construction costs, means and methods collaborating with the design elements to meet your project goals. Thirdly, is make decisions on critical items that are going to be installed in your home prior to construction starting. By choosing your cabinets, your countertops, your plumbing fixtures, your flooring, and having your contractor or an architect obtain quotes from specific suppliers, you’ll eliminate cost surprises during construction. Follow these steps and you’re on your path to a successful remodel. SAN FRANCISCO — Host, Sarah Rutan: When remodeling your home, it’s a good idea to consider the long term and design for aging in place. Today we’re in San Francisco with Diamond Certified Expert Contributor Jeff Kann of HOUSEworks to learn more. Diamond Certified Expert Contributor, Jeff Kann: Your design and construction professional can help you prepare to age in place. There are some very critical elements of your house that you use every day that are really important for you to get right so you can comfortably age in your own house. The main area is your bathroom. Make sure that as you think about aging in place, that you have any easy egress into your shower. Your shower threshold needs to be low enough that you can easily step into it. Or that in the extreme circumstances, you can get a walker or a wheelchair into the shower, or somebody in there to help you navigate the shower. That’s also true for the space around the toilet and in front of your vanity. So, space planning is very important as you think about aging in place. Some other very easy and simple changes you can make in your house are things like door handles, making door handles into levers from knobs so that they’re easier to open and close and operate. The same holds true with faucets, turning them on and off. You can use a lever as opposed to a knob to make them easier to operate. You can lower the height of counters so that they’re easier to reach. You can reach things on them. Now, you might have an image of these things as very institutional. That is not the case. 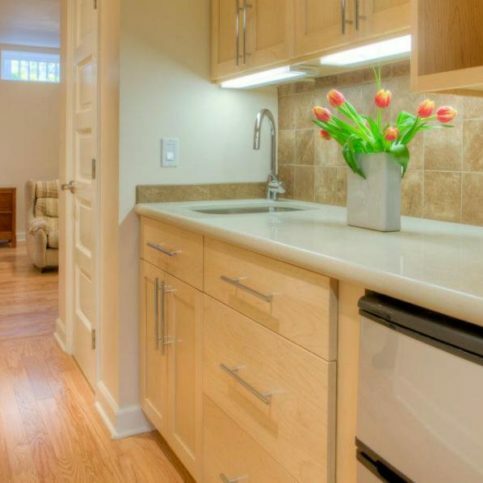 Using universal design, you can both have a beautiful space and something that’s functional to you. It doesn’t have to look institutional like you may imagine. 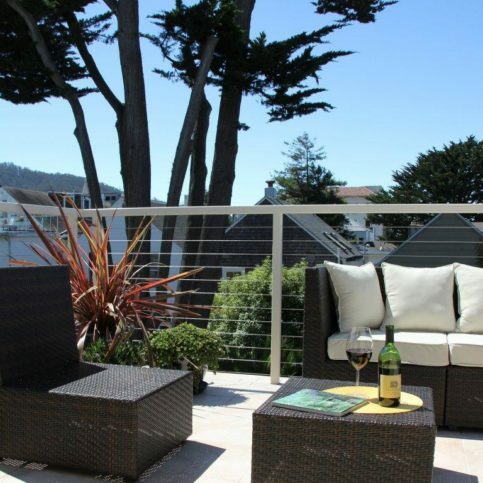 SAN FRANCISCO — Host, Sarah Rutan: Remodeling can be a stressful process. So, today we’re in San Francisco with Diamond Certified Expert Contributor Jeff Kann of HouseWorks to learn four steps to take the stress out of remodeling. Diamond Certified Expert Contributor, Jeff Kann: How many of you have been anxious or stressed out about remodeling or know somebody who has? You don’t have to be. Remodeling is an opportunity to make your home exactly the way you want it for you. So, there’s four steps you can take to take the stress out of remodeling. The first is to assemble a team of professionals to help you. This team consists of you, an architect or designer and a contractor. You can hire these people individually and make sure that they know how to work collaboratively or you can work or hire a team that’s already in place from a design/build firm. In any case, the job of the team is to make sure that your project is designed and built to your budget and to your schedule. The second is your budget. It’s very important at the very onset of your project to establish the amount that you are comfortable investing in your home for this project. It is then the team’s responsibility to make sure that everything is designed to that budget that you that your project is built to suit your needs and your budget. The third step that you can take to take the stress out of your remodeling is planning. Planning is critical to be completed during the design phase. That is, make the critical decisions about your project size and scope, your project fixtures, like plumbing fixtures, faucets and showerheads, bathtubs and toilets, kitchen sinks, countertops, all those decisions need to be made during the design phase. The fourth is, plan for things to go wrong. Remodeling is fitting the new in with the old and it involves juggling hundreds of components continuously so things will happen. But, you’ve hired a team that is adept at resolving these issues on the fly and making sure that your project is still going to be completed on time and on budget while solving these problems. You can trust them to accomplish this for you and you can relax and enjoy the finished project. Host, Sarah Rutan: Thank you to our Diamond Certified Expert Contributor Jeff Kann of HouseWorks. I’m Sarah Rutan. Diamond Certified RATINGS ON HOUSEworks, Inc.
HOUSEworks, Inc. : Average 9.0 out of 10 based on 215 unique customer surveys of customer satisfaction. They are great, having them do the design and building is brilliant. They do all the work so I don't have to worry about any of it. They are approachable, friendly and worked hard to understand my needs. Hire them. They do great work. Their services are very good and they did exactly what they said they were going to do. They are great to work with. They're timely, and they do exactly what they say they're going to do. They function as a well-oiled machine. Sometimes, you don't really know how good your contractor is until there's a problem. When something comes up, it's really at that point that it shows. They're willing to do what they need to do to satisfy you. They are great, easy to work with, very professional, and they have good communication skills. I'm very happy with the way our project turned out, and I would highly recommend them to others who are looking to renovate their houses. I thought they were great at problem solving and working with our particular situation to make it look as seamless as possible. They're very easy to deal with and talk to. They're very helpful. They're very easy to talk to, to get a hold of, and to talk about issues with. They're very fair about everything. They're very clear about the progress, and if there are any changes, what it would entail, such as additional costs. They're very clear in their communication and very friendly. I feel like you can definitely trust them with your home and in your home. They would let us know of any safety issues, such as mold. They didn't try to cover it up. We had an issue where we installed a lawn in the summer and it was fine. When fall hit, the lawn started to become muddy. I told them what happened, and they helped us remove the lawn. They also helped pay for part of the installation of synthetic grass. They were helpful, understanding, and fair about it. Overall, we were very satisfied. They're tidy, their work area is always very clean, and they're punctual. They're very good at communication, so you know what's going on. They're amazing. The quality of their work was excellent. The thing I appreciated the most was their communication. I loved that I l knew what was going on, and there were no surprises. The communication was great. I was expecting it to be a nightmare, buy it was extremely pleasant. They are very professional, timely, and they kept everything neat and tidy. They are very personable and they do a really nice job. The quality is very good. I've used them before. They are very reliable, do excellent work, and have quality craftsmanship. The craftsmanship is excellent. It is very easy to communicate with them. They are friendly and it's easy to ask a lot of questions, and they do good work. They were reliable. They showed up when they said they would and did what they were supposed to do for a good price. The efficiency with which they produced what I needed them to do. They were responsive and kept us informed about what was going on, and they did good quality work. They do know what they are doing and they do finish the job. They were interested in making sure we were happy. They were reasonably timely, and there was one main foreman who met with us regularly. They were respectful of our space, organized, on time, and they did what they said they were going to do. What I liked best was that they were reliable. The respect for our space was very important to us. You don't realize how important that is until you have someone working in it. I would say they have a high level of customer service. They were very flexible in meeting the needs of the client. They were willing to work with me and flexible around scheduling. It was definitely the customer service and the customized personal attention, they asked a lot of questions and checked in along the way. He's a builder who pays attention to what the client wants. He's very focused and concerned about taking your vision and making it happen. I liked Antonio's ability to custom-design and the fact that he finds different ways to save you money. He's honest and very cooperative.